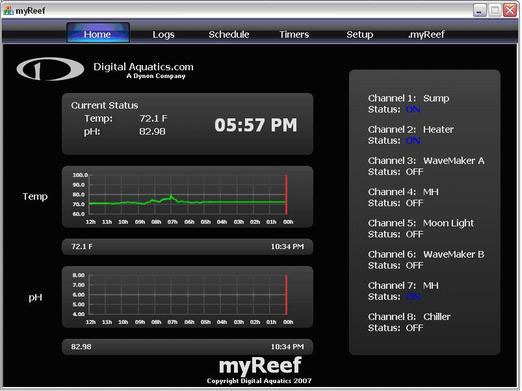 ReefKeeper owners had reason to celebrate at IMAC as they finally got their own PC software. It was only two months ago that the much loved and privately written ReefTool software was sold by its creator to Neptune Systems and was quickly removed from the Internet, this left Reefkeeper owners without a PC interface. Digital Aquatics quickly stepped in and at a record pace has written completely new software that boasts a better interface with more features and functions.